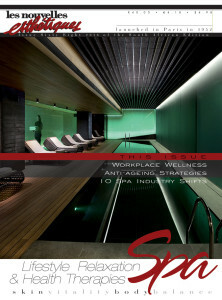 The theme of this issue of Les Nouvelles Esthetiques Spa Magazine is Anti-ageing. “Man’s perpetual desire to counter this ageing process has been engrained in our DNA for millennia. More than 3000 years ago, Queen Nefertiti was arguably one of the most powerful and mysterious women in ancient Egypt and to this day she remains a global icon of feminine beauty.“ As quoted by Dr Mark Steinmann, 15 on Seventh Medical Spa – winner of the Spa Awards 2015, Aesthetic Institute Category. Explore this theme with a number of articles such as: What causes Skin Ageing, Glucose Damage, Activating your Longevity Genes, Ageing Gracefully – The Ayurvedic Way, Treatment Combinations, Anti-aging Foods, and more. Anti-age your spa business, ensuring you are up to date with the Spa Finder’s Spa and Wellness Forecast for 2016, GWI’s identified 10 Spa Industry Shifts, and Redefine Workplace Wellness, ending with Gratitude. 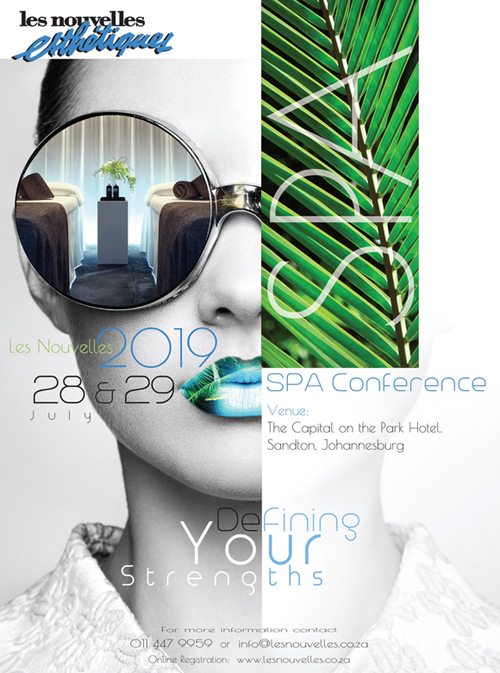 Dates to diarise: Spa Awards 2016 Entries Deadline – 29 April 2016, Global Wellness Day – 11 June 2016, Spa Conference 2016 – 24 & 25 July 2016. Your subscription rates include postage & packaging in South Africa. 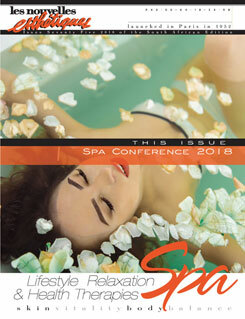 Les Nouvelles Esthetiques Spa Magazine SA is additionally available digitally through the Apple Newstand. So as a reader your have the option of the magazine in print or magazine digitally, ideal for your phone, tablet or laptop. You can subscribe to both version, or print or digital, depending on your preference.